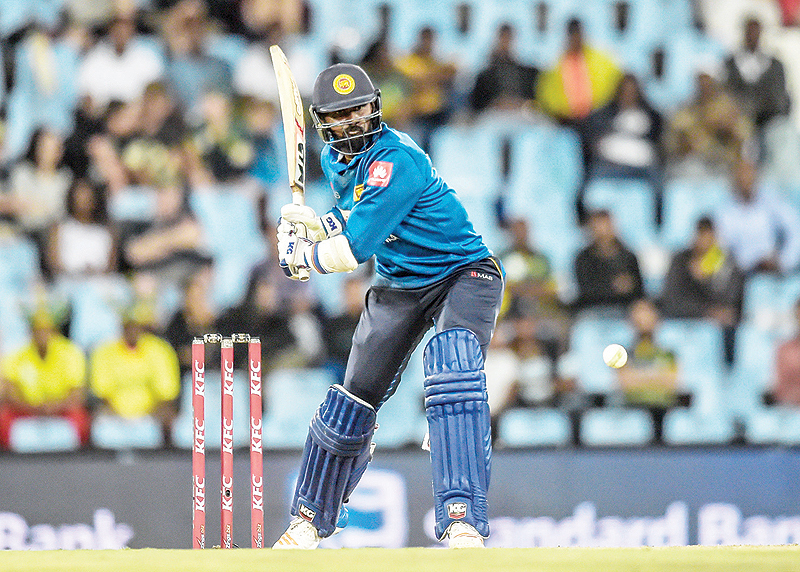 Udana thrashed his not out score off 48 balls to take Sri Lanka from a seemingly hopeless position to one where they had an outside chance of winning. It initially looked easy for South Africa, who scored 180 for three after being sent in, with Reeza Hendricks hitting a fluent 65 and Rassie van der Dussen a powerfully-struck 64. Sri Lanka lost their first four wickets in the first four overs and were floundering at 62 for six when Udana walked in to bat in the 10th over. But, as he did in the fourth one-day international, Udana overshadowed the recognised batsmen with a superb display of clean hitting, although he had a let-off when he was caught on the long-on boundary off JP Duminy when on 31, only for Duminy to be no-balled for over-stepping. Udana hit eight fours and six sixes. Duminy praised a “really good team performance” and the way Dale Steyn and Chris Morris had struck twice each with the new ball. “There are a few things we can improve in the middle and end overs. Udana played a fantastic innings but we gave him a few lifelines,” he said. Hendricks and Van der Dussen put on 116 off 78 balls for South Africa’s second wicket. Hendricks started the season as one of the favourites to make South Africa’s squad for the Cricket World Cup later this year but a run of poor form, together with the resurgence of Aiden Markram, put his chances in doubt.